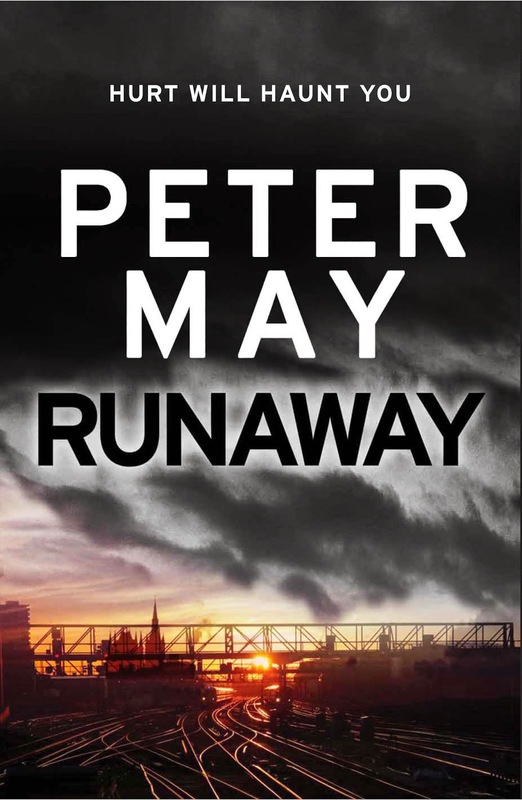 So as we recently surveyed what Quercus Publishing have in store for 2015, the first one off the block is Peter May’s latest thriller, Runaway. Unlike last year’s Award Winning ENTRY ISLAND – this is a deeply personal tale, and fictionalized by May - exploring this writer’s fascination with the 1960’s London Music scene, and an echo to the future, which again proves the past is never ever forgotten. Glasgow, 1965 Jack Mackay dares not imagine a life of predictability and routine. The headstrong seventeen year old has one thing on his mind – London – and successfully convinces his four friends, and fellow band mates, to join him in abandoning their lives to pursue their goal of musical stardom. Glasgow, 2015. Jack MacKay dares not look back on a life of failure and mediocrity. The heavy-hearted sixty-seven year old is haunted by the cruel fate that befell him and his friends some fifty years before, and how he did and did not act when it mattered most – a memory he has run from all his adult life. London, 2015 A man lies dead in a bedsit. His killer looks on, remorseless. What started with five teenagers five decades before will now be finished. 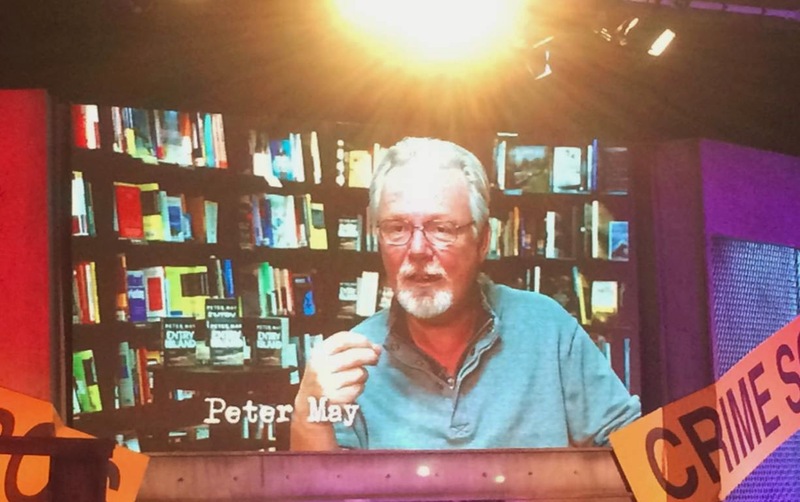 Runaway is by Peter May and is a tense nostalgic crime thriller spanning a half-century of friendships solidified and severed, passions ignited and extinguished; and set against the background of two unique and contrasting cities at two unique and contrasting periods of recent history. Runaway is due to be published in January 2015. So as Runaway is based upon an early incident in the author’s career, Peter kindly provided Shots readers, a few photographs to provide the narrative some context. 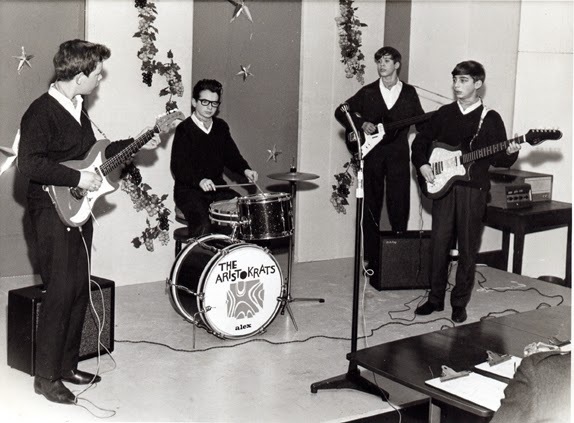 This was our first group, "The Aristokrats". 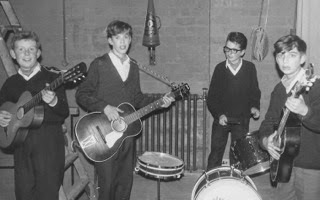 I think we were about thirteen here, and taking part in a Lewis's/Glasgow Evening Times talent contest in which we came in third. I'm on the left, Stephen on the right. All of us in this pic, except for the drummer, were the idiots who ran off to London. The bass player was Ian Looker, who now lives in Bristol. We were eleven or twelve here. Backstage before playing at a school concert. The two of us pioneering short haircuts, taken in the art department, probably in 5th year. We'd both had long hair, and I can remember the collective intake of breath at school assembly the morning we turned up with our heads cropped! This was taken when the original band got together for a reunion concert in France in 2002. We were pioneering even shorter haircuts then! 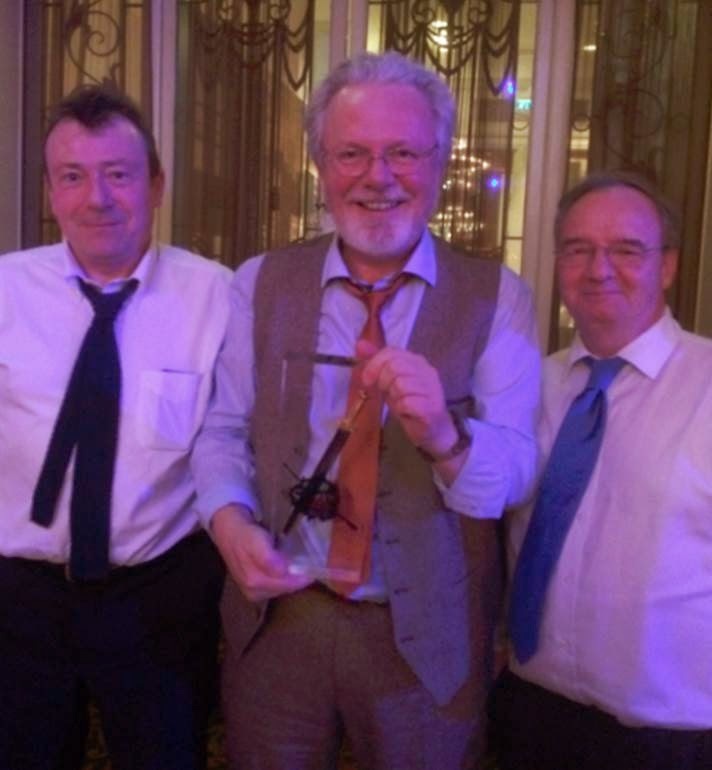 Ali So after being awarded a Dagger earlier this year for ENTRY ISLAND, what’s the year been like for Peter May? Peter 2014 has been an extraordinary year for me. Entry Island was a Top 3 bestseller in the UK, Top 2 in France, and the first three Enzo books, published in paperback for the first time in the UK, have sold phenomenally well, the latest getting into the Top 20. The first two books of the trilogy have now been published in the US and are also selling well. 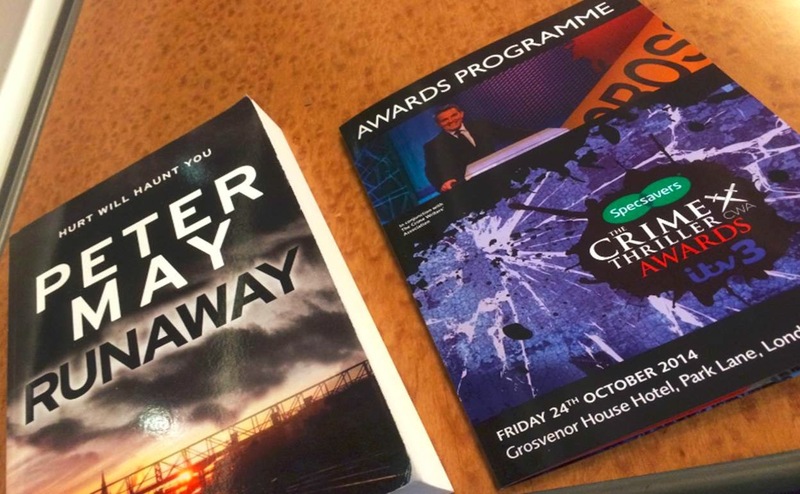 I came back from a US tour in September to learn that Entry Island had won the Deanson’s Scottish Crime Novel of the Year, before going on to win the Best Read Dagger at the Specsavers Crime and Thriller Awards. I also toured in France, the UK and Central Europe, and managed to chalk up 35 flights! And as if that wasn’t enough I also wrote another book - “Runaway”. So now, not unnaturally, I’m exhausted! Ali And how do you feel about the reception for ENTRY ISLAND, being such an interesting slice of history as well as a gripping read [as it was reviewed widely]? Peter Writing “Entry Island” felt like quite a risk at the time, because I was definitely pushing the boundaries of the crime genre, and there was always a danger that it would be seen as historical fiction, or even romance. Fortunately, readers and reviewers saw it in the context that I hoped they would - as a contemporary crime story with its roots buried deep in history. Ali And we see your backlist coming back into print, so did you do any tinkering before re-publication of your older work? Peter Actually, all of the Enzo books were written between books one and two of the trilogy, so they didn’t feel like old books to me. And since the stories were set in very specific years, there was no question of updating them. But I very carefully proof read them to excise the Americanisms they contained for first publication in the US. Ali And tell us a little about your new work “Runaway” as it is something of a departure, something personal, something troubling. Peter “Runaway” was certainly a departure from my recent work and, again, part of that desire to push at the boundaries of my genre. It is far more autobiographical than anything I have written before, since it was very much based on a series of events that took place in my teenage years. It became a very personal odyssey through my past - being expelled from school, running away from Glasgow to London with my fellow band members when I had barely turned seventeen, living rough on the streets of the Captial and busking in the subways. Ali And what was it like fictionalising the past? And did you tell your friends about what you were up to in “Runaway”, and if so, how did they react? Peter It was actually great fun taking the bones of a true story and fleshing them out with fiction, particularly as I was able to draw so much on my own memories and feelings and family background. 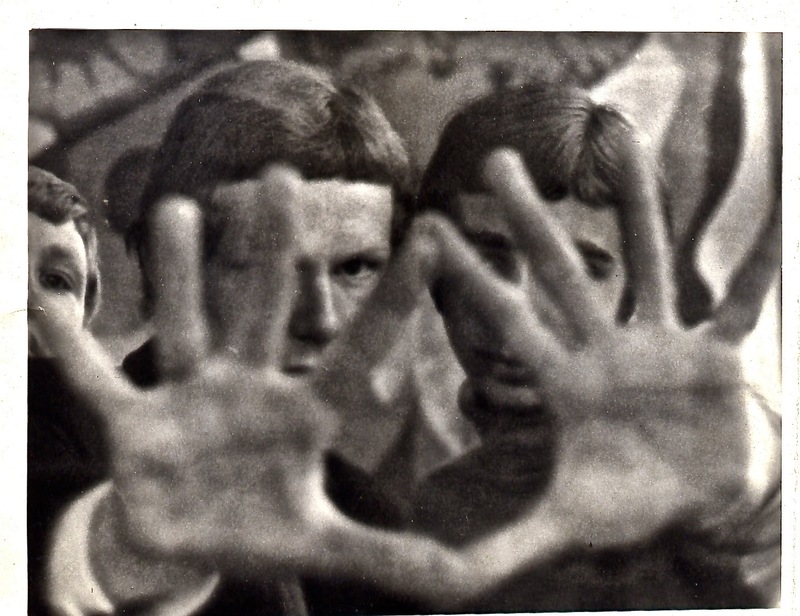 And researching 1965, which is when the boys run away in the book, was immensely enjoyable - not only a trip down memory lane, but a voyage of discovery. The only one of my friends that I told about the book was my best friend, Stephen Penn, who ran away with me back in the sixties, and with whom I returned to Glasgow, having split up with the others. He was excited to read it - the first person to do so (apart from my wife), and loved all the memories it brought back. He was desperate to know which character was him - but in fact all the characters were really composites of the many friends that I played in bands with in my youth. Ali So did you know what the journey the friends were embarking upon, and plot heavily, or did your hitch-hike on the journey with the muse? Peter I always plot meticulously before writing, so in terms of storyline I knew exactly where I was going. But, then, my process takes place in two parts - the storylining and the writing (something I brought with me from my time as a screenwriter). While some writers start on page one and go with the muse throughout the book, I reserve that for the first of my processes, leaving the second to give the story and characters density. Ali There quite a few twists, and surprises for the reader in “Runaway”, so without spoiling the twists, can you let us know if they were plotted ahead of time, or did they surprise you? Peter I plot everything in advance. But, of course, things change and evolve in the process of the writing, and lots of things emerged from the dark recesses of my memory to put sometimes unexpected flesh on the bones of my story. Writing is always like a journey - even although you have plotted your route in advance, you can never predict what will be waiting for you round the next corner. Ali So what was it like going back in time in your memory, and what advice would the grown-up Peter May say to his teenage self if he had a time machine? 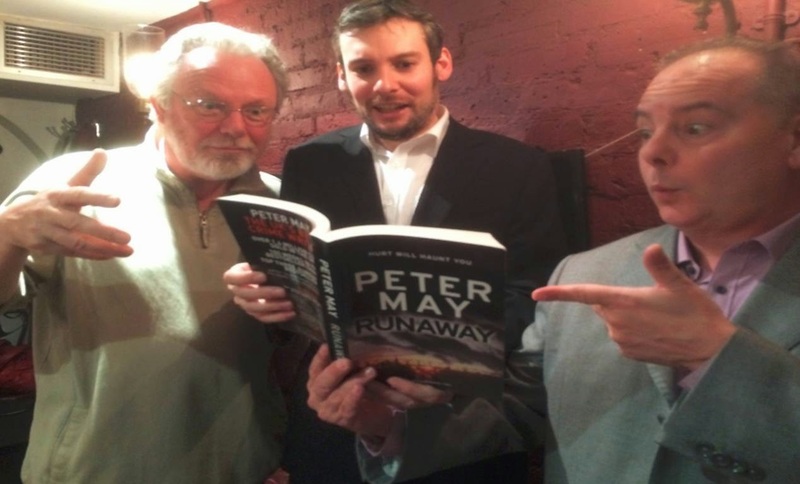 Peter Writing this book was an emotional rollercoaster for me. I was amazed at how much I remembered from back then, details and emotions. They were exciting days for me as a teenager, playing in bands, touring all over Scotland and the North of England in a group called The Harlem Shuffle, which was billed as Scotland’s top soul band. I made mistakes, of course. Did things I regretted, made choices that Peter May today would certainly advise against. But looking back, I don’t think I would change a thing - unlike some of the characters in the book whose lives are blighted by disillusion and regret. Peter Stephen Penn and I met when we started primary school together, aged four. We did everything together as kids, including start our first band, and of course run away to London together. But as adults we went our separate ways - he to London, where along with his wife he established the top UK child modelling and acting agency, Scallywags. 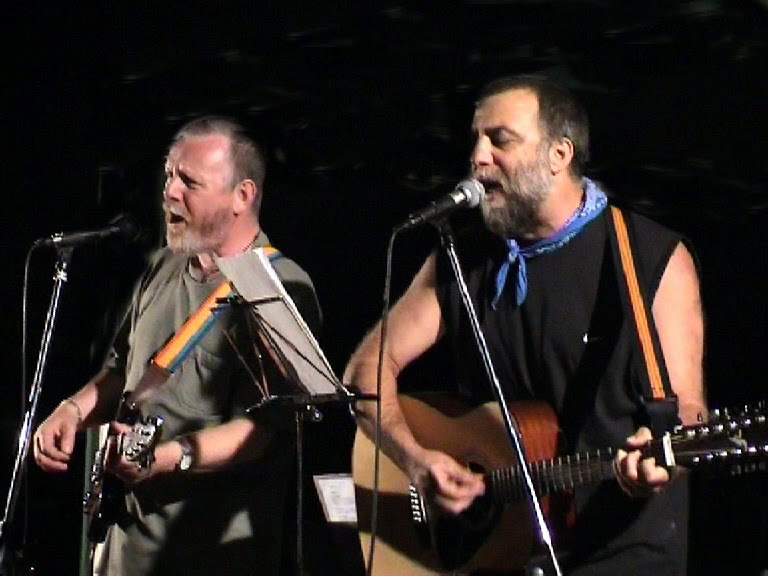 He is now retired and lives full time in the south of Spain, and last year when I spent the winter down there writing “Runaway”, we wrote and recorded an album of songs that told the story of our lives. And, of course, one of the seminal events in our lives was running away from home. Hence the song, “Runaway”, which became the title song of the album. It’s now available as a download from iTunes, and all the songs, and the videos that go with them, can been heard (and seen) on our website, www.pennandmay.com. Ali So tell us about the musical side of your life? Peter If I hadn’t been a writer, what I would most have wanted to be in this world is a musician. Music was my life as a teenager and young man. I played in many bands, intially guitar, then keyboards and latterly bass guitar and flute. But I understood my limitations, and appreciated that there were so many better musicians around than me, so that when I made my career choices, writing was the thing I was best at, and probably most wanted to do. But I have never lost my passion for music, and am currently finding renewed interest in it through the writing of songs, which I have never really done before. Ali I’ve interviewed many writers, and been surprised how many are musicians as well, one writer mentioned the linkage between music and writing, and that rhythm is important, be it in a lyric, or narrative, would you agree? Peter I certainly would. I think that writing is to a large extent about rhythm and lyricism in the narrative. I think you “feel” the writing in the same way as you sense and respond to the dynamics of a melody. Poetry and music is the key, for me, to good writing. So the links between all three seems clear, and I am not surprised that so many writers are also musicians. Ali So in Runaway, you tell the tale of the three old friends re-visiting the past and seeing the significance of what they discover and how it relates to their present and future. The theme of how the past impacts the future is evident in much of your work, like The Black House [and others], so why does the linkage in the deeds of the past interest you so much? Peter It’s true that the past-present coaxial is a theme I have returned to often in my recent work, I think largely because it is such a universal experience - the way those things we have done in the past, and the choices we have made, so shape our present and future. It is possibly also the process of growing older that has made me more aware of that relationship between past and present. But we are all affected by it, and regret is such a common human experience, that there is hardly anybody who can’t identify with that particular emotion - often in a very bittersweet way. Ali So with Runaway launching in January, can you let us now if you are planning a tour, like the extensive one for Entry Island, and where will details be posted? Peter Yes, I am planning a major two-week tour of the UK in the second half of January, taking in events in London and Scotland, along with radio and press interviews up and down the country. Details will be posted on my Facebook author page - https://www.facebook.com/petermayauthor - as well as on Twitter and various print magazines and blog sites, and of course the website of my publisher, Quercus. Ali As an expat-Scotsman living in France, can you tell how you felt about the recent Scottish Independence referendum, and where did your allegiance lie? Peter I followed the referendum debate very closely, mainly through social media and the internet. I gave several interviews on the subject to the French press, as well as participating in a coast-to-coast political radio show in the US, dedicated to the subject. I was very much in favour of independence, not in any kind of anti-English sense, but from the perspective of creating a political structure that truly reflected the views of the voters - which the present set-up patently fails to do for most Scots. Although I also believe the same can be said for many regions of England, and I am very much in favour of a federal solution to a political problem that is denying democracy and creating apathy in the population for the whole political process. Ali You have always been big into social media / internet – so how important is online visibility in these tough days for publishing? Peter I think a strong internet presence is crucial for writers and the future of publishing. Mediums like Twitter have become the new “word of mouth”, which has always been the best way of selling books. It’s something that happens more or less spontaneously, and is very hard to manipulate or predict. But you have to be part of it to benefit from it. Ali But how do you manage your time, as you need to write as well? Peter Managing your time as a writer these days is very difficult. The demands of promotion are huge, and I find that anything up to two-thirds of my year is now taken up with that pursuit. So it’s very important to set writing time aside and simply shut the door on the world while you’re doing it. Ali So I assume you have little time for freelance Journalism then? Do you miss your days as a journalist? Peter I don’t miss those days at all. I had an absolute ball as a journalist during the seventies, which was an exciting time of huge change and transition in Britain. It was exhilarating and educational, but in the final event it wasn’t really what I wanted to do. And since then I have been very lucky in being able to pursue my career as a fiction writer, both in television and in books. Ali And what have you read recently that has fired your imagination? Peter The best book I read in 2014 was William Kent Krueger’s “Ordinary Grace”. I’ve always admired his writing, but this book was a great novel, as well as a crime book that took the genre to a new level. Ali And what’s next for Peter May? Peter 2015 looks like being another very busy year. It will kick off with my launch tour of “Runaway”, followed by a research trip to the Hebrides, after which I will be locking the doors on the world to write my new novel - and, yes, it’s a return to the Hebrides, though not to the characters of the Lewis Trilogy. I will have another US tour in the autumn, after which I will be writing the final book in the Enzo Files. [limited to 300 copies] signed by Peter May to give away in an exclusive competition. Send your answer in an email to shotscomp@yahoo.co.uk marking the subject line “PETER MAY RUNAWAY” and please include a postal address. All correct entries will be entered into a prize draw and the first correct answer picked at random on 11 / 1 / 2015 will be declared the winner of the book.